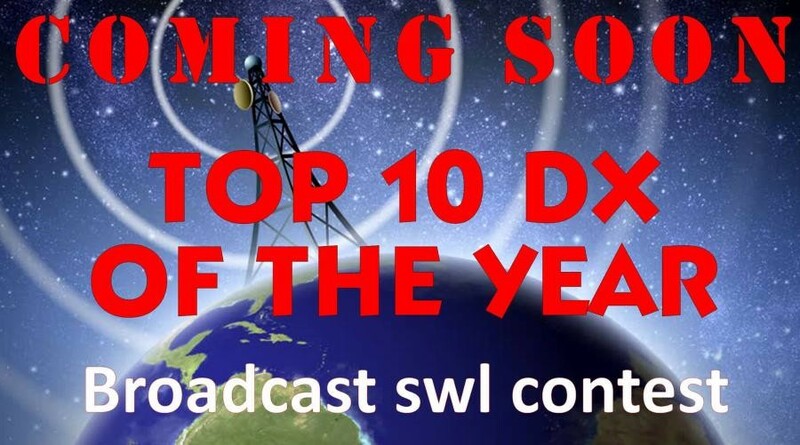 TOP 10 DX OF THE YEAR broadcast swl contest. From 1 December 2018 (Saturday) 00:00 UTC to 31 December 2018 (Monday) 24:00 UTC The contest is open for all shortwave listeners and free of charge. All the information is available on our website (www.topdx-radioclub.com) by clicking on TOP 10 DX OF THE YEAR. All the pages are bilingual: English on top, Hungarian on bottom. In case of any questions just send us a line and we will be happy to respond. It is our pleasure to welcome you among the competitors so we are expecting you. Best of luck and outstanding DXs to everyone.